Dr. McDonald graduated from the University of Missouri School of Veterinary Medicine in 1993. He returned home to Sullivan immediately after graduation to the great relief of Drs. Cuneio and Franklin. This two doctor practice had outgrown the abilities of two men. While Dr. McDonald enjoys mixed practice here, he has worked hard to grow the large animal side of the business. 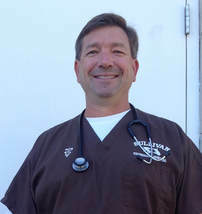 In 1998, he bought into the practice, becoming a 1/3 owner of Sullivan Veterinary Hospital. At home, Dr McDonald and his boys enjoy raising Angus/Simmental cattle. He also partners in a cow/calf operation with Dr. Cuneio. Dr. McDonald and his wife enjoy traveling and relaxing with friends at a good winery. Dr. Bouse graduated from the University of Missouri School of Veterinary Medicine in 2002. He went to Virginia beach to practice for 2 years, before coming back to Missouri to be an associate veterinarian at a clinic in Washington. From there, he practiced in Pacific for 3 years, then traveled back to his hometown in Sullivan in 2009. In 2012, he bought in with Dr. Cuneio and Dr. McDonald to become partners. Dr. Bouse enjoys surgery, and performs many advanced orthopedic procedures. He is an avid bow hunter and enjoys spending time in the woods, when he isn't busy with his family and twins. Dr Koch graduated from the University of Missouri School of Veterinary Medicine in 2012. Prior to that, he received a Bachelors degree in Animal Science at MU, with a minor in Poultry Science from the University of Wisconsin. Dr. Koch competed on Missouri's livestock judging team in 2008. He began working at Sullivan Veterinary Hospital upon graduation, filling in a much needed position on the large animal side. Along with cattle, horses, cats and dogs, Dr. Koch also sees goats, pigs, alpacas, sheep, and poultry. Following his interest in cattle, Dr. Koch offers a heifer development program at home in his spare time. He has a pair of border collies that he enjoys working with, and also likes to spend time horseback riding with his wife and spending time with his growing family. Dr Stuart graduated from the University of Missouri School of Veterinary Medicine in 1998. She traveled to a rural clinic in southwestern Pennsylvania where she worked for a year. Upon returning to Missouri, she practiced in Florissant for 8 years before coming back to her home town in 2006 to work full time at Sullivan Veterinary Hospital. Dr. Stuart sees predominantly dogs and cats, but also the occasional exotic animal. She enjoys internal medicine and spends a lot of time researching a multitude of topics. Dr. Stuart stays busy at home with her husband and two children. She loves the ocean, and whenever she has the chance, she likes to travel to the beach. Karen did most of her growing up here at the Sullivan Veterinary Hospital. She was hired by Dr. Cuneio, and has had almost every job description available here besides doctor. In 1984 she entered the veterinary world as a kennel worker/vet assistant/receptionist. By 1992 she had worked her way up to office manager. Karen has been married for 39 years, and has a 38-year old son and 3 grandchildren she is very involved with. In her spare time, she has become a certified dog trainer, and holds numerous classes here at the clinic. Her favorite hobby is bowling. Karen has 3 dogs and 2 cats. Pictured with her to the left is Goddah (german shepherd), and Taz (catahoula). Kerri was the first technician to be hired at Sullivan Veterinary Hospital. After a brief time working at a clinic in St. Louis, she came to Sullivan and has been happily working here ever since. Kerri's favorite aspects of clinic life usually involves large animals, working outside with horses and cattle. Kerri has two fantastic, almost grown children, a 21 year old daughter, and a 23 year old son. In her spare time, she loves horse-back riding with friends, camping, kayaking, and anything else the outdoors has to offer. Her pets include Marli (red heeler), Jenny (horse), Kate (mule), and Millie (mule). Kelly is another long-time employee at the veterinary hospital. She started working here while she was in college and became a full-time technician as soon as she graduated. Her favorite duty at the clinic is surgery tech. Kelly spends A LOT of time in the surgery room. She's also a whiz at the appointment book. Trying to schedule 6 doctors in and out of surgery and making time where there is none is often a challenge. At home Kelly is a busy mom and wife. When she can spare the time, she enjoys horseback riding and spending time at the river. Kelly has 2 heeler mixes, Pete and Banjo, and 2 barn cats, Paul and Ginger. Amanda was the third tech hired here at Sullivan Veterinary Hospital. She graduated from Jefferson College in 2009 and began working here immediately afterwards. Amanda is known throughout the clinic as the nutrition specialist and the neonatal nurse. If you have any questions about what kind of food your pet needs to be eating, Amanda is who you will be directed to. When she's not working, she enjoys spending time with her family. If there are any spare moments beyond that, Amanda likes to deer hunt, fish, and camp. Her pets include a 16-year old chinchilla, 6 dogs, and 3 cats. Ashley began working at Sullivan Veterinary Hospital in 2011. What an asset she is!! Always willing to help, and always wearing a smile. Her favorite duties at SVH involve helping Dr. Koch and Dr Wells with their large animal work. Whether it be cattle, horses, piglets, or goats Ashley is always lending a hand. The outdoors beckon to her at home as well as at work. Ashley and her husband Ryan and their daughter enjoy camping, fishing, hunting and horseback riding. Her pets include 2 horses, a donkey, 2 goats, 3 dogs, and 2 cats. Sara graduated from the tech program at Jefferson College in 2015. She worked in St. Louis for a time, then in Washington for a couple years. She joined us here at Sullivan Veterinary Hospital in April of 2018. We are happy to welcome Sara to our group. In her spare time, she enjoys hiking, running, and fishing. She has one dog named Harley, who is a border collie/heeler. Katie has been at Sullivan Veterinary Hospital since 2006. She began working in the kennel while she was still in high school. Katie's love for animals is keeping her in the field. She went to college, and received a degree, then went to Jefferson College and received a 2 yr degree as a Veterinary Technician. At home, Katie and her husband have 2 dogs and a horse. She enjoys float trips, grilling, yoga, running, and fishing. Megan has been here at Sullivan Veterinary Hospital for 8 years now. She filled a void left by the previous bookkeeper that had been here for 30+ years. Megan's attention to detail and meticulousness has become a huge asset. You will frequently see her behind the front desk helping the receptionists, and also hear her on the other end of your phone when you call the office. Megan is a "get it done" kind of person, and we would truly be lost without her. At home, Megan has two dogs and a cat to take care of along with being the mother of twins. Katelyn is one of the newer employees at Sullivan Veterinary Hospital. She filled a rather new position as an assistant and has become absolutely indispensable. Katelyn is a thorough, meticulous person, and it shows in her work here. She is sought after by everyone, and when given a task, she always follows through. Katelyn graduated from ECC in 2017 as a medical assistant. She resides on a farm with her husband August, 2 dogs, 2 cats, numerous chickens, and cattle. Her passion is farm life, and she enjoys all aspects of it. We just hope we can keep her here at Sullivan Veterinary Hospital and not lose her to her life at home. Susan is one of the smiling faces you see when you walk into the clinic. She is a part-time employee, but everybody knows her, as she has been here longer than any of our other receptionists. Susan's compassion for people as well as pets makes her a very valuable employee. Her passion at home is her flowers and garden. Spring planting is her favorite time of year. Susan's husband, her two sons, and her grandchildren fill what's left of her time. Margaret began working at Sullivan Veterinary Hospital part time almost 23 years ago. Her organizational skills are an asset to the clinic. She is the person that takes care of the hundreds of coupons and rebates. At home, Margaret has one daughter, and is involved with the design side of her husband's metal art business. She is also a very active member in her church. Margaret has 3 dogs, 2 cats, and 1 horse. Debbie started working at Sullivan Veterinary hospital in 2008. Her ability to adapt her mindset to the task at hand makes her an asset to the front desk crew. She works full time here and tends to be a "go to" person. At home, Debbie is involved with her family's cattle operation, and has raised her kids to enjoy the same. Lisa is one of the newer employees here at Sullivan Veterinary Hospital. Being such a fast paced clinic, with as many clients and patients that come through the door, it's not an easy place to learn the ropes. She was a fast study, and quickly became another efficient receptionist. 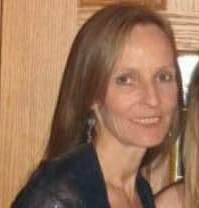 When Lisa is off work, she enjoys spending time with her family and 3 dogs in the outdoors.